In any other part of India, hea��d be dismissed as just another dark skinned South Indian. In Tamil Nadu, therea��s not a home that doesna��t mouth his punch lines. 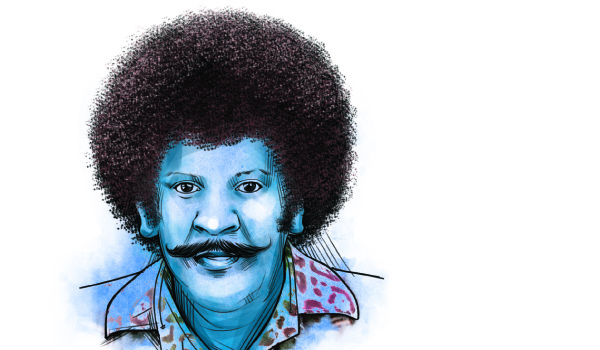 Meet Vadivelu, the Rajinikant of comedy, who sadly never got his due nationally. Born in Madurai with an uncannily similar tale to that of the Southern superstar, Vadivelu earned his living doing odd jobs in a photo frame shop. One day, he serendipitously dropped into a studio to watch a shoot as he had precious little to do. Director T Rajendhar was looking for a striking looking thin guy to play a filler role in his film En Thangai Kalyani. Our man fit the bill. The inconsequential role bolstered his confidence enough to try his luck as a funny man in the Raj Kiran starrer, En Rasavin Manasile. Then destiny took over and he went on to act in over 275 movies, earning many awards and legions of fans in the bargain. Central to Vadivelua��s popularity is the tried-and-tested slapstick trope of a rustic braggart being thulped black and blue till his dhoti drops. The charm of a�?Vaigai Puyala�� (his nickname) lay in how he injected zing into the same old role by coming up with new stock phrases such as Vandhutaangaiya Vandhutaanga, Ahaan, Haiyaiyo, Naa apdiye shock aiytane, Mudiyala, Sollavae illa, Enna da nadakkudhu inga and Vada pochey. His amusing body language and loud-mouthed bravado, coupled with witticisms like a�?Taking a risk is akin to eating a rusk for mea��, made him meme-worthy. Another special reason for our love is his punchlines. They have been the fountainhead for many a quirky movie title. The recent hit Naanum Rowdy Thaan is borrowed from a quip he made in Thalainagaram. Another famous retort from the same movie, Trisha kidaikalana Divya, served as the inspiration for the recent release, Trisha Illana Nayantara. The Siva Karthikeyan flick Varuthapadaada Valibar Sangham is the name of Vadivela��s club in Winner. Even Siddhartha��s soon-to-be-released Jil Jung Juck owes its title to Vadivela��s epic classification of women in Kaadhalan. YouTube comic channel Put Chutney and Pepper TVa��s chucklesome show Building Strong, Basement Weak are also a nod to Vadivelisms. Ironically, the man hasna��t been paid a rupee of royalty for his naming contributions. But Vadivelu knows the jokea��s on him because wasna��t he the bloke who once asked: a�?Enna vechu comedy keemedy pannalaiye?a�?